Using gazebos at outdoor events is a great way to create a well branded, sheltered event space in a large open area, providing protection from rainy or cold weather conditions, and sun protection for anything that may need to be kept cool under the shade such as food and drink samples. All of our gazebos are waterproof and we can supply a range of different models and sizes to suit your activation, from traditional pop-up gazebos to dome-shaped or inflatable gazebos. Our gazebos are easy to erect and are manufactured with either aluminium or steel poles. As an optional extra, side panels can be added to any gazebo. These are made from a similar material to the fabric that covers the roof and legs. The side panels can be fully branded, providing a massive amount of flat space for promotional artwork to be introduced. A gazebo with side panels is perfect for creating a closed-off space within your overall campaign area. One suggestion on how these could be used is in outdoor environments as a fully sheltered area with an experiential activation inside or a pop-up shop. They are also great for stopping the wind from passing through on a breezy day and creating a cool, closed off area for saving stock on-site out of the way of the public eye. Our gazebos can be fully branded with your chosen brand logo, slogan or hashtag. 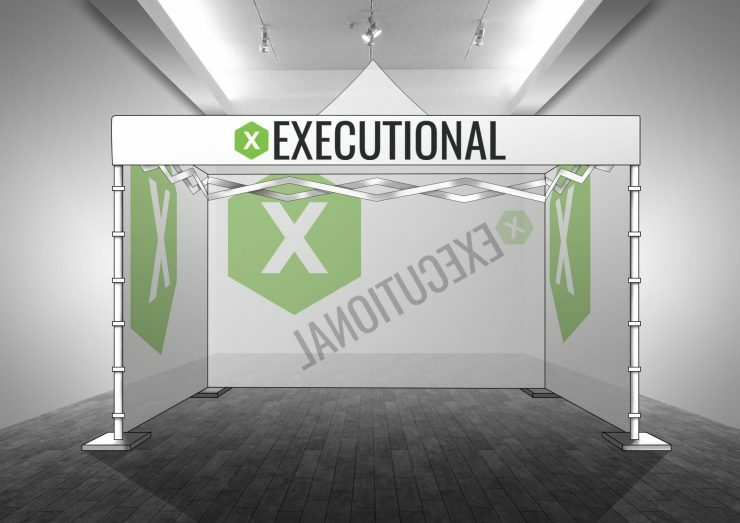 The branding is 360 degrees around the whole gazebo, so your event and branding will be visible from all angles. They can also come in a range of fabric colours to suit your event space or brand colour scheme. Branding your gazebo means that your whole event space is heavily advertised with your chosen logo or piece of brand artwork. Gazebos can be used time and time again as they are durable and take up minimal storage space, so having yours branded would be worth your while. 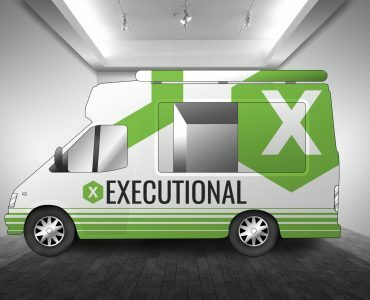 After the event, it can then be put in storage, ready to use for any future campaigns or events that you might need. 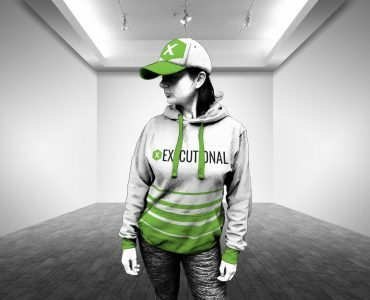 When planning an outdoor event in a large open space, it can sometimes be hard to make your promotional space standout with just branded items. 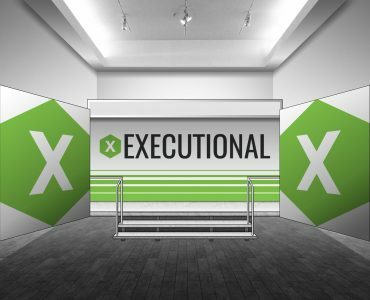 Using a pop-up gazebo not only makes for a great looking event space, but it creates a backdrop and brings all the components of an outdoor campaign together to create a heavily branded stand-out event space. 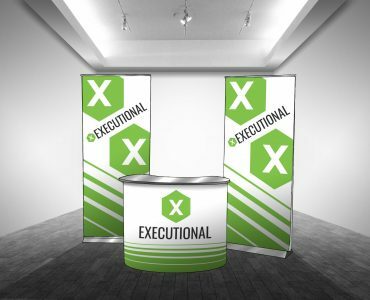 Combined with the use of outdoor flags, sampling bins and any other branded components that are necessary to complete the setup, these will really make your space look professional and well decorated. Dome gazebos have the same functionality as traditional gazebos, however, they stand out a little more and are visually pleasing, they are a little larger than the average gazebo. A great functionality of the dome gazebos is their ability to be connected to create a ‘tunnel’ with two or more gazebos, meaning that your covered event area can be as large or small as you like with the use of multiple domes. These can also have branded side panels added for extra cover. Due to the igloo-like shape, these gazebos are especially good in rainy weather, with the rain easily running down the sides of the structure. Inflatable gazebos are a great looking alternative to the traditional gazebo and the perfect choice for a quick and easy set-up. With no metal poles to erect, all you need is power to connect the fan and space to inflate. The legs and roof are inflatable and are kept secure to the ground with weights which are hidden from the public as they are slid inside the inflatable legs of the gazebo. Like the other gazebo options, these can also be fully branded, with the option of side panels. 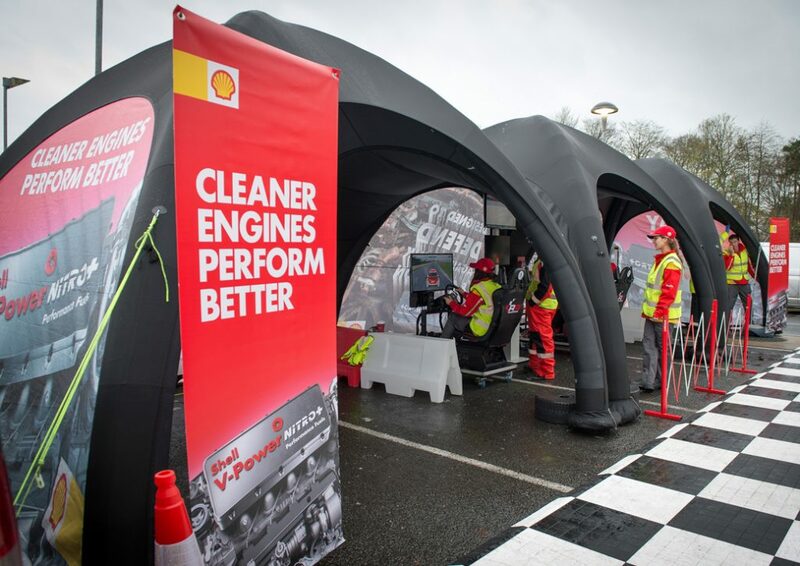 We used dome gazebos in a previous promotion for Shell V-Power, where two dome gazebos were connected to build a double-garage pit stop style event space at Shell petrol stations where staff members would perform oil checks and basic repairs on customers cars underneath the shelter of the gazebos. The use of two connected gazebos meant that two cars at a time could be worked on under the shelter. Alongside the gazebos, which had branding that encouraged customers to ask about the services on offer, there were two branded feather flags with further advertising, and a racetrack floor mat to set the ‘pit stop’ theme. Arla recently did a roadshow across Yorkshire and the surrounding areas to promote their new line of Arla Protein products. This included their protein milkshakes and quark pots. 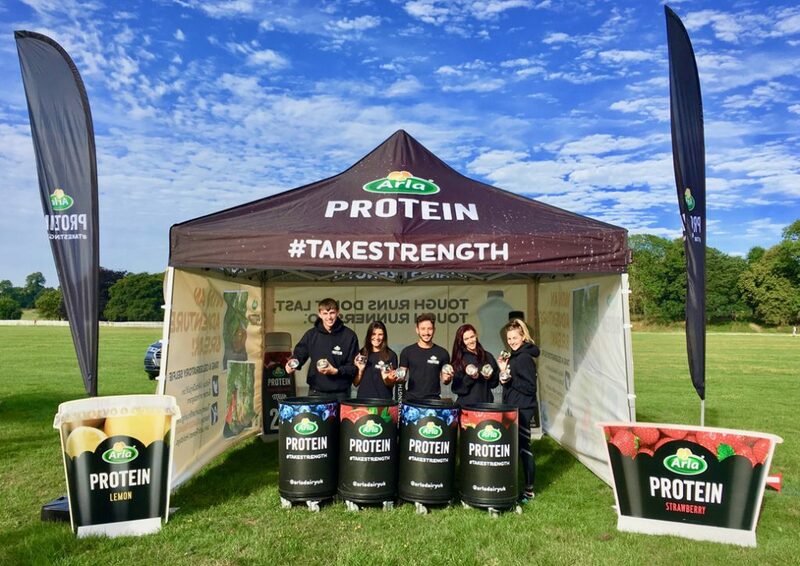 They used a fully branded traditional gazebo with side panels which were branded up to advertise their social media competition to win a mini-break when using the hashtag takestrength, which they promoted alongside sampling the Arla Protein quark pots. 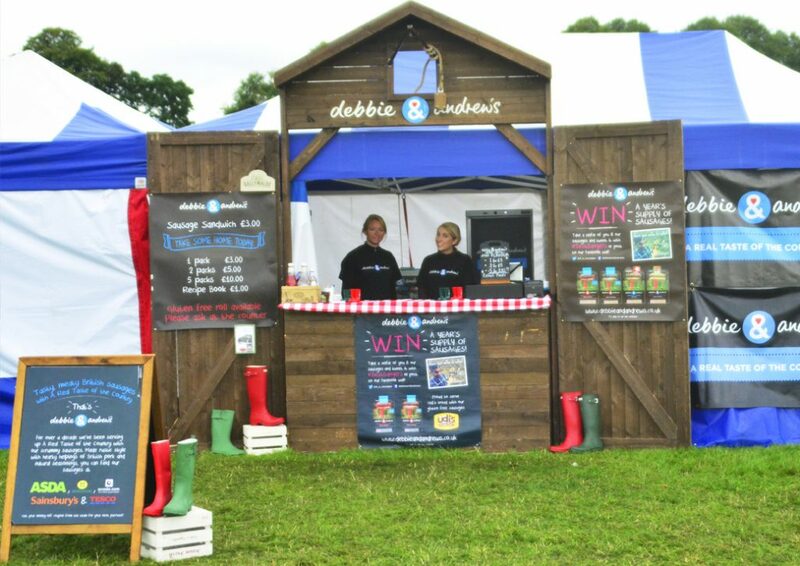 This campaign went on over 8 months throughout 2018 at 11 different Run For All Events all over the North of the country, with the same gazebo travelling in and around Yorkshire along with props, product sampling bins and usherette trays, all of which will be used again on the same campaign in 2019. The use of the gazebo meant that Arla’s presence at the cheer station was easy to see, there was a cool place for protein pots to be saved for a short amount of time while they waited to be put into the sampling bins and distributed by staff, and staff and stock were protected from tough weather conditions at some of the races that took place outside of the Summer months.